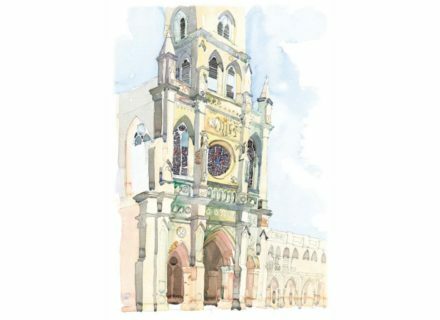 Trained initially in Fine Art and Architectural Drawing at the Christopher Wren School, London, Derek went on to win a scholarship to the Kingston School of Art. His work has been shown in Asia and Europe, including the Royal Academy of Art Summer Exhibition in London. 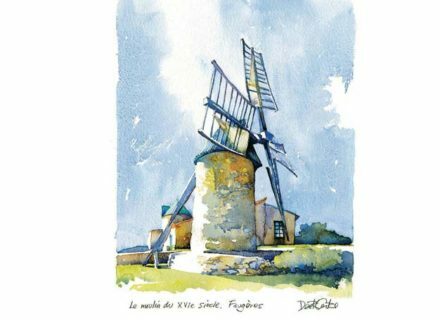 His unique style and technique has evolved over 30 years and his watercolours are widely sought after by both corporate clients and private collectors. 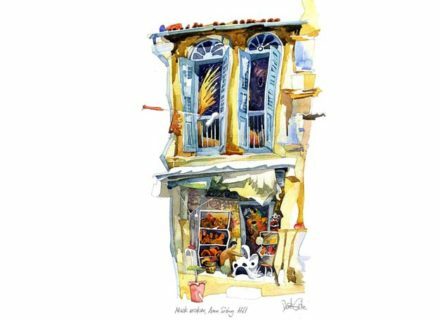 Working from direct observation, he applies his colours with an assured hand, catching both quality of light and intricacy of architectural detail, creating an acute sense of time and place capturing the very essence of the subject. 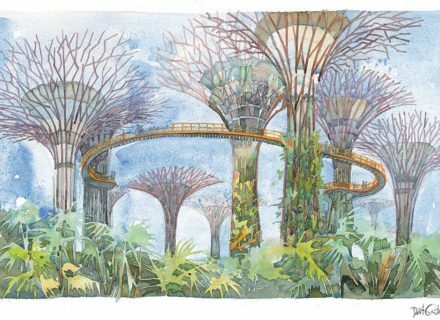 On bi-annual visits to Singapore, Derek undertakes a variety of commissions from the outside or inside of your home or condo, to a favourite view or location. Makes a truly original leaving, birthday or Christmas gift. We guarantee you'll be delighted. 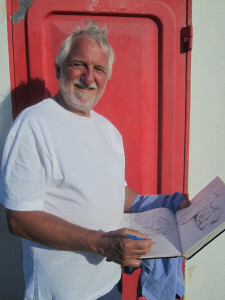 For a commission, Derek will visit your home to consult with you on light, angle and best time of the day to paint. He will then do a preliminary sketch for you to approve before proceeding with the final painting on site. 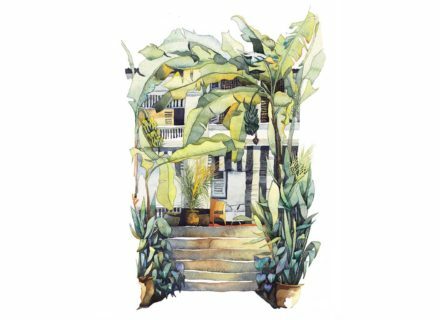 For those of you with second homes remote from Singapore - e.g. 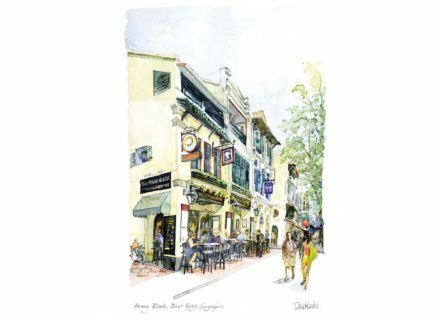 Bali, Australia, Europe - Derek can paint a commissioned work from high quality digital photographs. He is producing good results with this technique and can show you examples if this is of interest to you. Please contact Derek Corke via the contact form.